A majority of businesses have high-value goods on site which are essential for business operations. If these items are damaged or stolen, the business can come to a standstill. Using a SIM Card for Alarms enables the security system to send a text or call you when the alarm is triggered, gives you peace of mind that your property and belongings are safe. One of our most recent customers runs a building site and has experienced several thefts during the time the houses were being built. The houses are less secure as they have no windows or doors. One group of burglars broke into one of the houses that had an alarm in it and stole some tools. They had destroyed the alarm but it had a GeoSIM Global SIM Card for alarms installed. This enabled the alarm to call and text, so the three numbers registered with the alarm were alerted that it had been set off. This meant that someone was able to come and disturb the thieves and they left without stealing anything. On a second occasion three suspects broke into the house again and stole goods, but this time the police were called and they were arrested for theft and the goods were returned. For this customer the alarm was invaluable because previously, they had experienced loss of goods up to the value of £2500. The second time around, only £150 worth of goods were lost and damaged (including the alarm). How does a SIM card for Alarms work? 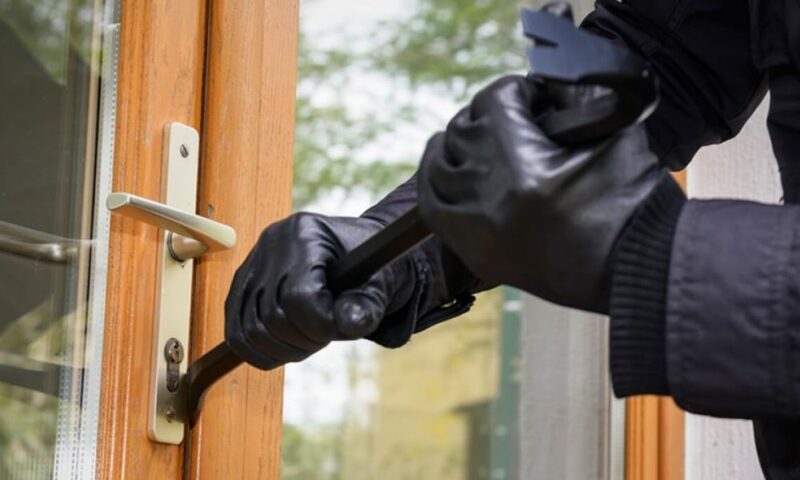 Most alarm systems and burglar alarms can be set up to dial a pre-defined phone number or send a text message to a mobile number if the alarm is triggered. In order for this to work, the alarm needs to be connected to the telephone with a SIM card. However, many networks do not permit their SIMs to be used in unattended devices or in devices that infrequently make calls or send texts. Global M2M SIM card excels because there are no ongoing monthly charges and you will only pay for the small amount of data that you use. The SIM will stay live even if your alarm only sends messages infrequently and will work on all networks, so if one network isn’t available, your alarm will still stay live. Our customer said, “The alarms I use are a great little piece of kit and the roaming SIM means that when they are redeployed to somewhere else like my house, caravan or even tent, the unit can lock onto the nearest network and be live straight away. Click here to find out more about how you can use our SIM cards for alarms.